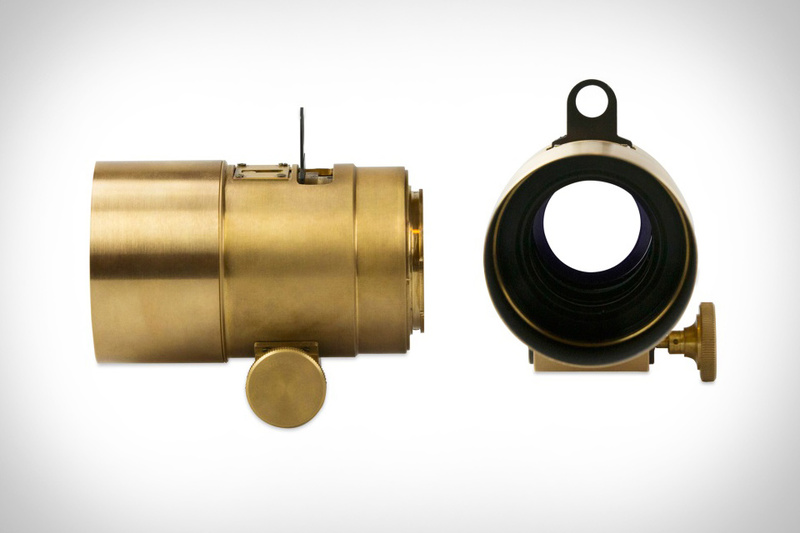 In the 19th century, the majority of photos were shot with an extremely popular lens called the Petzval. Photos using this lens were known for their crispness, strong color saturation, terrific swirly bokeh effect, artful vignettes, and narrow depth of field. Those same qualities are front and center for a new generation of photogs now, thanks to the Lomography Petzval Lens ($500). The reimagined gem will work with Canon EF and Nikon F mount cameras and might just be your new favorite portrait lens. Most situations that call for a full-featured camera are also the situations where it's too inconvenient to bring along a bulky DSLR — hiking, concerts, parties, weekend trips. The Fujifilm X-M1 Camera ($800) packs all the features you'd look for in a camera into a size that can go anywhere. It features a 16 megapixel CMOS sensor, a three-inch tilting LCD screen, and supports most Fujifilm lenses. Wireless image transfer lets you to download up to 30 images at a time to your iOS or Android device. At less than one pound, and under five inches by three inches by two inches, it's half the size of a typical DSLR. Regardless of how good of photos you can shoot on your iPhone, there are some situations that just call for a DSLR. The Pentax Q7 Camera ($500) presents a great compromise between size and features for when all you want to do is shoot great photos on the move. It's the smallest interchangeable-lens camera, and comes packed with everything you would expect from a full-sized camera — adjustable aperture and shutter speed, manual and auto focus, a three inch LCD screen, and a 12.4 megapixel CMOS sensor. You can also customize the body and grip in 120 different combinations, letting you really make it your own. Call us luddites if you want, but we appreciate few things more than completely disconnecting and doing something with our hands. The Lomography Konstruktor DIY Camera Kit ($35) contains everything you need to build a fully-functional 35mm camera (yes that precludes posting to Instagram) from scratch, combining our passion for the maker mentality with our love for photography. In only about thirty minutes, you can build your own plastic analog camera, customize it with decals, load it with film, and start shooting. Then all you need to do is find somewhere that actually still processes the stuff. The name Hasselblad has inspired lust among professional photographers for decades, and for good reason — it's synonymous with quality, from large-format cameras to studio DSLRs. The Hasselblad Lunar Camera ($7,000), pays tribute to the 500C of 1957, the first camera ever in space. The 24 megapixel CMOS sensor, lenses, and other innards are all Swedish, while the exterior sports an Italian design and luxury materials (mahogany, leather, even gold). Advanced image stabilization keeps your photos clear in situations that typically call for a tripod. It comes standard with an 18-55mm focal-range lens (short- and long-range lenses are also available). Pinhole cameras represent one of the most basic forms of photography — but that doesn't mean they have to be inelegant. ONDU Pinhole Cameras ($60-$200) are made from high-quality woods and feature classy designs with rounded corners and simple shapes, letting you enjoy and explore pinhole photography without the odd looks that can come from using more primitive devices. They're available in 135, 135 panoramic, 6x6, 6x12 Multiformat, 4" x 5", and sliding box models, and are expected to ship in October. Sure, you can make time lapse videos using just about any camera — but if it doesn't have a built-in intervalometer, you might end up clicking the camera button yourself, and in any case you're going to spend some time converting those stills into a video. Or you could just use the Brinno HDR TIme Lapse Camera ($400). Made specifically for the task, the Brinno features a 1.3 megapixel HDR image sensor that it uses to produce 720p time lapse video, with the ability to set the interval between frames from 0.3 seconds to 24 hours. It also features a CS lens mount, so you can swap out the included 14 mm f/2.0 lens for a wide range of glass. Once it's done shooting, all you need to do is pop out the SD card, pop it into your computer, and enjoy the video that's already been assembled.